Search engine optimization (SEO) is a quite important part of any e-commerce website. WooCommerce does not have any SEO optimization included! Autopilot SEO plugin adds these features to WooCommerce so that it can communicate better with Google, Facebook, Twitter, Bing any many more traffic makers. Get the easiest SEO experience and get to that #1 spot easier! No skills required! Check plugin demo pages here! 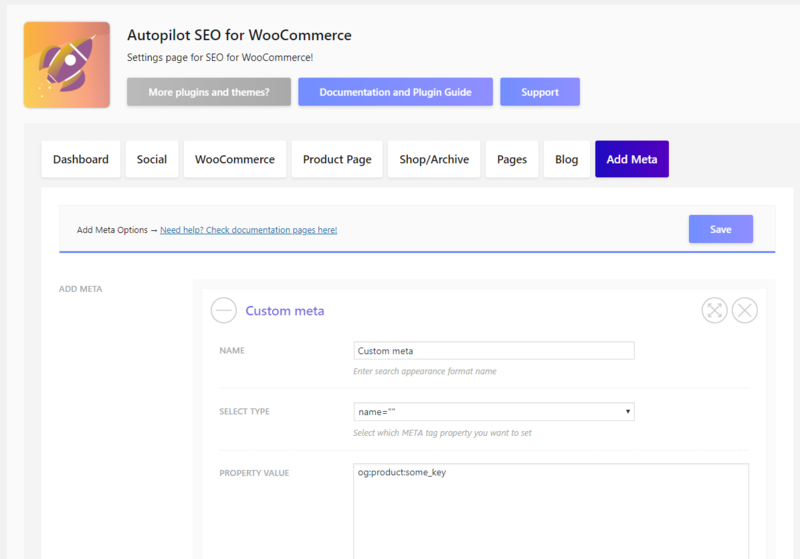 + Autopilot SEO for WooCommerce 1.0.5 - 24. January 2019. 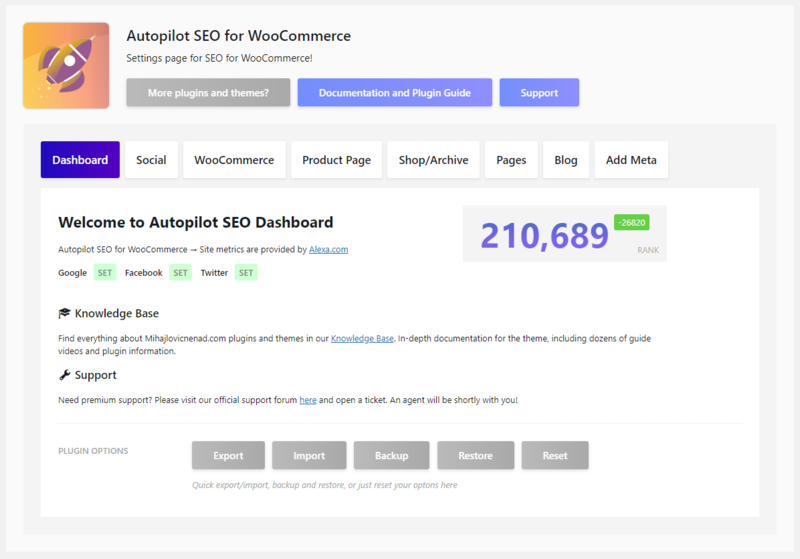 + Autopilot SEO for WooCommerce 1.0.4 - 20. November 2018. 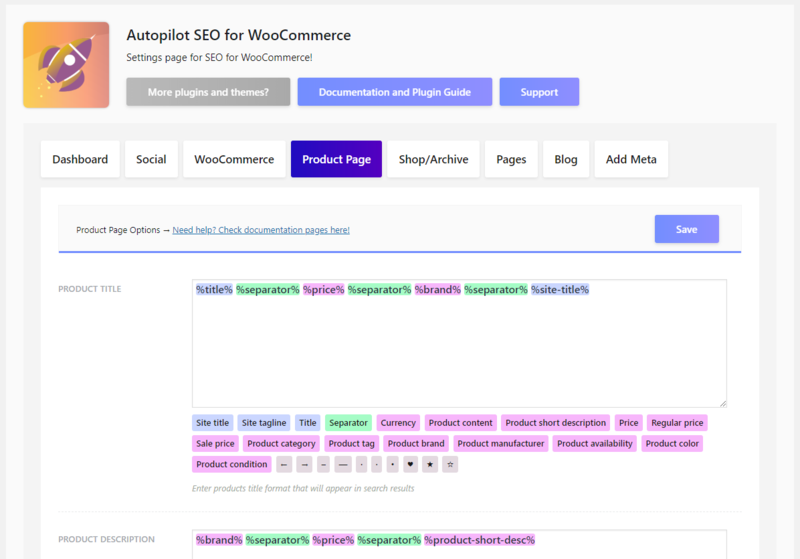 + Autopilot SEO for WooCommerce 1.0.3 - 2. November 2018. + Autopilot SEO for WooCommerce 1.0.2 - 25. October 2018. + Autopilot SEO for WooCommerce 1.0.1 - 21. September 2018. + Autopilot SEO for WooCommerce 1.0.0 - 17. September 2018.